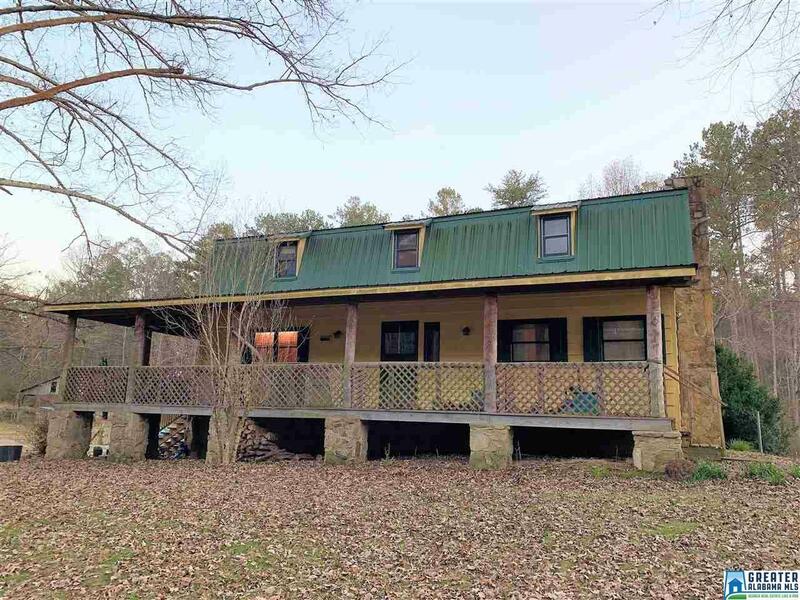 This beautiful 3 bedroom 2 bath cabin sits on 4.8 acres of pasture land that is nestled next to Dugger Mountain. With a pond, a barn and fencing, it would be perfect for horses. It has a large outdoor workshop located on the property as well. The partial wrap-around front porch is welcoming. Inside, you are immediately swept away with that great cabin feel. You are surrounded by ceilings with wooden beams, hardwood floors and walls. The stone wood-burning fireplace makes you want to grab a book, sit and relax. The kitchen has gorgeous wooden cabinets with a large butcher block island. The dining room has matching built-in cabinets and a pot-belly stove. Upstairs, there are 3 bedrooms, a master bath, and laundry closet. In the basement, there is a den with another stone wood-burning fireplace and a laundry room next to it. Don't miss this great home with acreage. Call today for your private tour.